There are two things that are making me believe that fall is really here, even if the weather outside doesn’t really feel like it. One is that my calendar now says October. 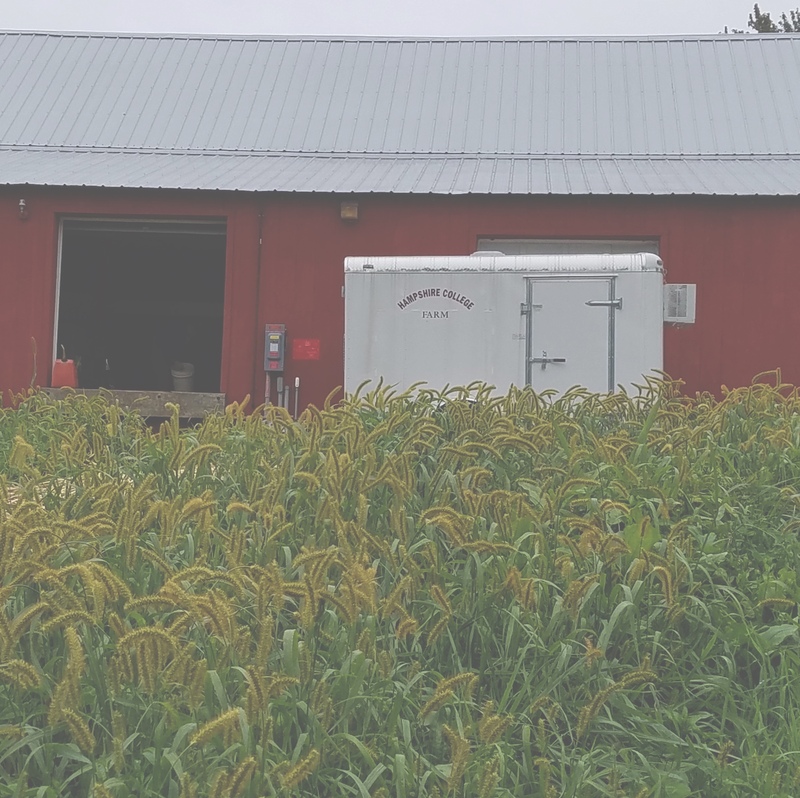 The other is that winter squash are now plentiful at the Hampshire CSA and in our corner of the world in general. You can’t really pretend it’s still summer when there are heaps of winter squash (not to mention various root vegetables and dark leafy greens) on the table in front of you, no matter how nice the weather is. As the season progresses and we’re having winter squash in winter, I use them various ways–baked and roasted, stuffed and layered. For this first winter squash of the season, I went with soup. You probably know this already, but winter squash makes lovely soup. Not only that, it’s easy and doesn’t require huge amounts of your time. A lot of what happens happens by itself. Not that this soup cooks itself entirely, alas. But the time you’re working is minimum–a bit of chopping, some stirring, and then you have delicious soup before you. I used several different recipes as a guide for this. 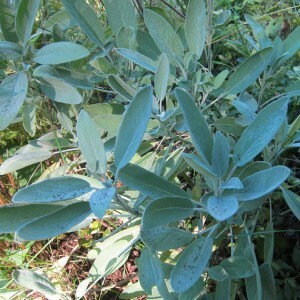 Feel free to experiment depending on what vegetables and herbs you have on hand and how much time you have. I’ve seen recipes that steam squash for soup, but I think it’s a shame not to roast it–it deepens the flavor, as roasting always does, and you can easily scoop the squash right out of the skin. 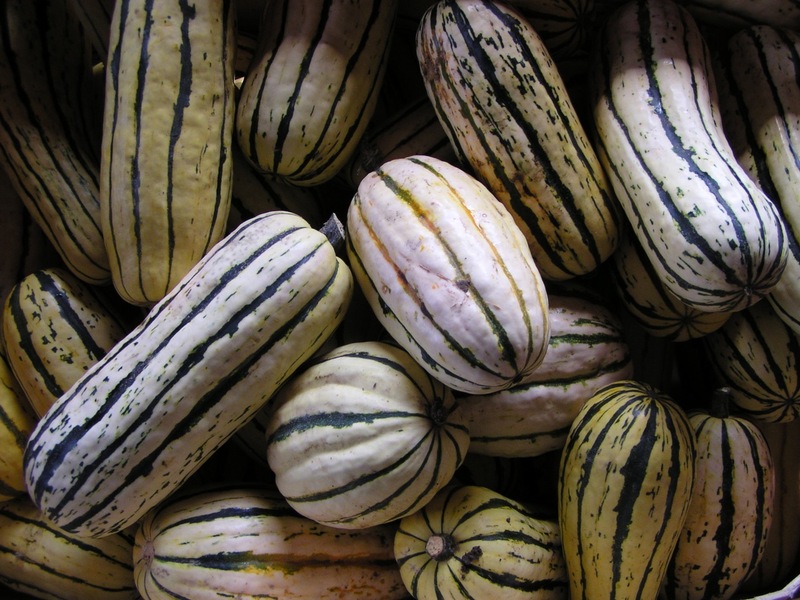 Delicata squash has edible skin, but you don’t want to eat it in your soup. 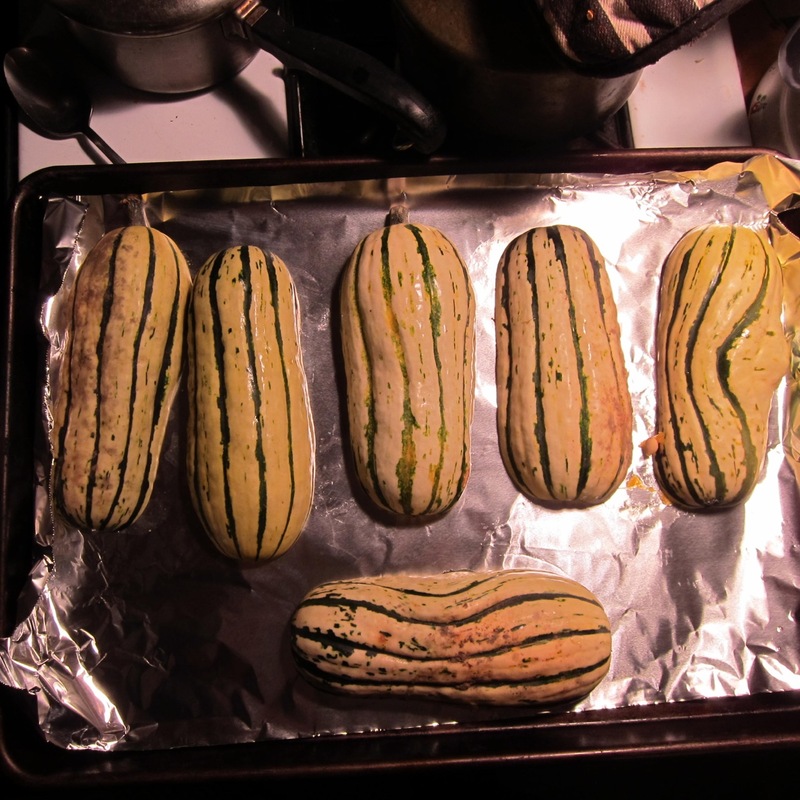 So, the first step is to preheat the oven, line a baking pan with foil or parchment paper (or be prepared to scrub squash-shaped stains off your baking pan later on) and cut the squash in half. 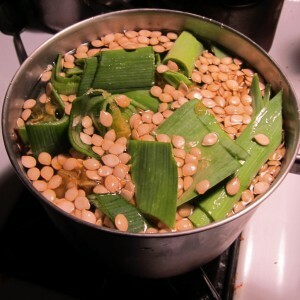 While you can certainly save the seeds to roast and eat on their own (or with the soup), I chose to use them in my stock. So scoop out the strings and seeds and put them aside for the moment. You rub the cut sides of the squash with a bit of olive oil, put them cut-side down on the lined baking tray and bake in a 400 oven for 30-40 minutes. They’re done when you can stick a fork into them easily. Meanwhile, while the squash is baking, you make your stock. As for squash soup, the seeds and strings are a perfect base. I threw them into a pot with some leek greens, a carrot, some parsley and salt and let them simmer for about a half hour while the squash roasted in the oven. 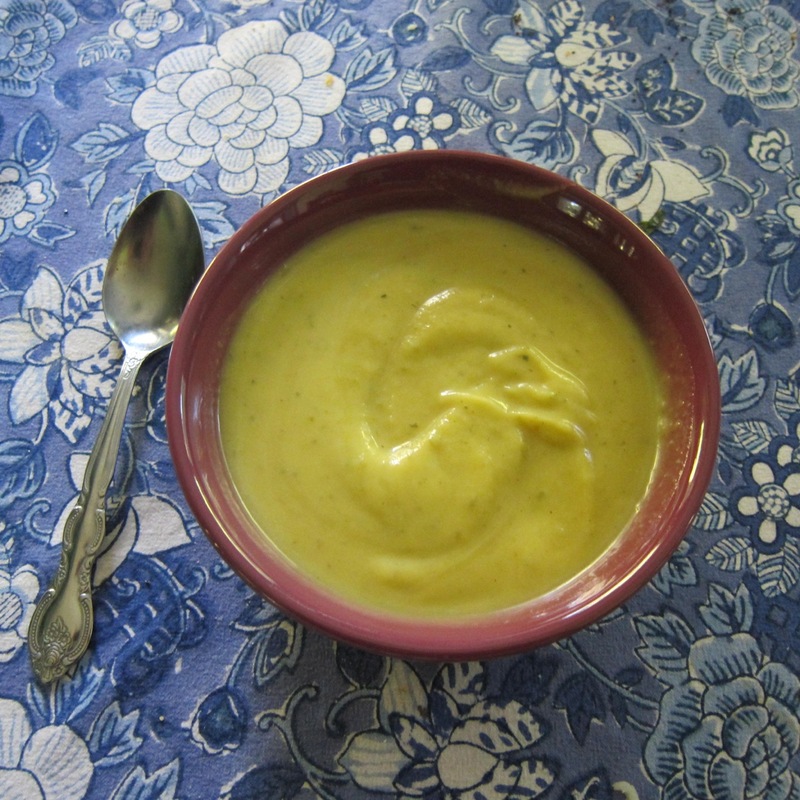 It’s true that we have months ahead of us to eat winter squash, but it’s also true that the bounty of Delicata, Sweet Dumpling and Jester squash at the Hampshire CSA won’t be around all winter, so we may as well enjoy it and eat soup. Line a baking pan with aluminum foil or parchment paper. 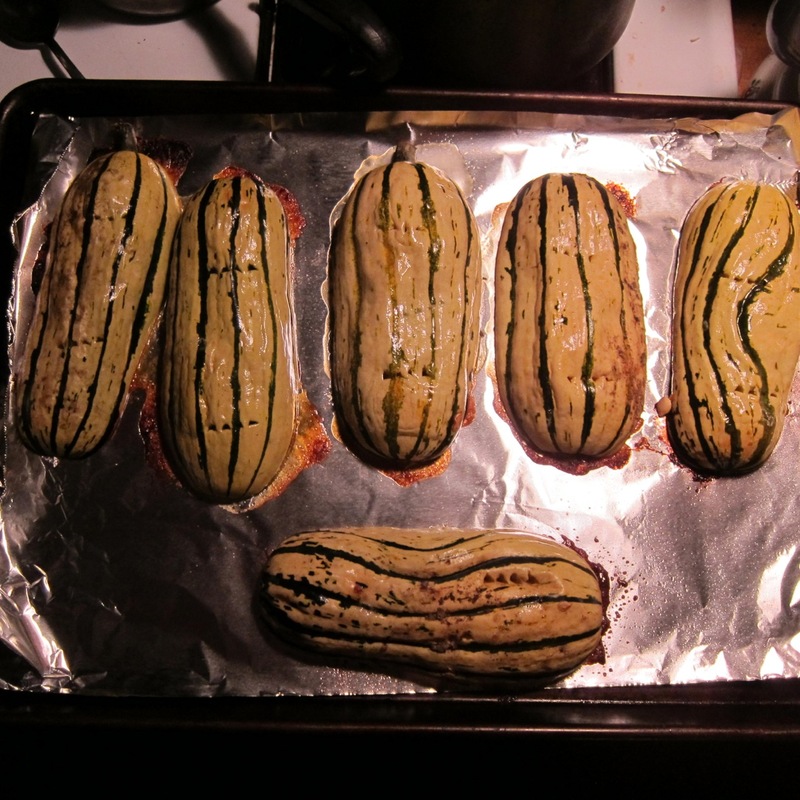 Cut squash in half. Scoop out seeds and strings and set aside. Lightly rub squash with olive oil, then place cut-side down on the foil-lined baking pan. Roast for approximately 30-40 minutes. You’ll know it’s done when a fork (or knife) goes through it easily. 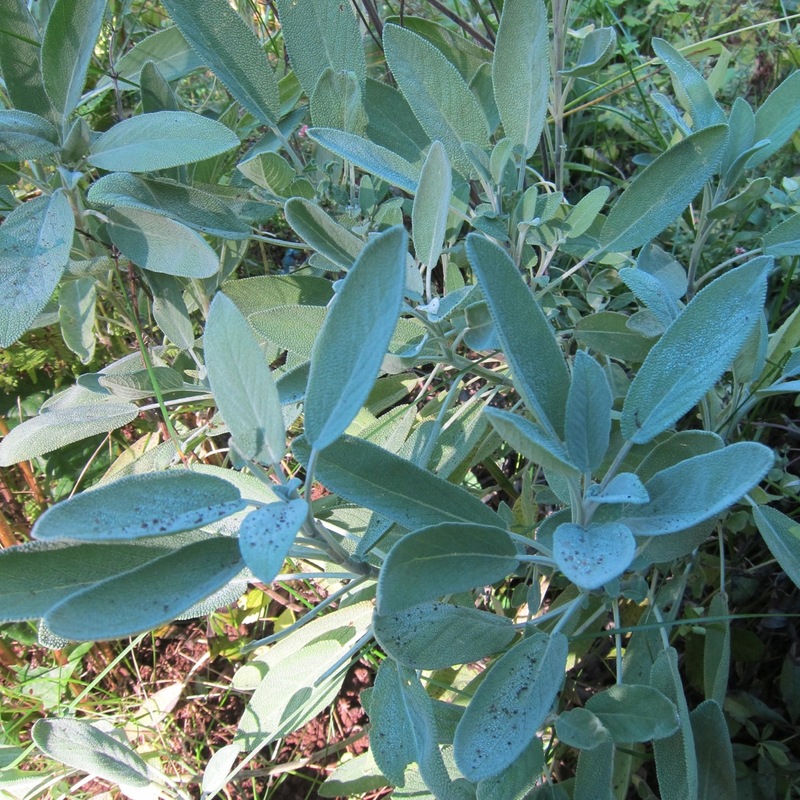 Meanwhile, take the seeds and strings you set aside and put them in a large saucepan or small stock pot. Add about a cup of the green part of the leeks (rinsed and chopped roughly), 1 chopped carrot, the 4 parsley branches and a teaspoon of salt. Add 6-8 cups of water. (You will need 4-5 cups of stock for the soup. 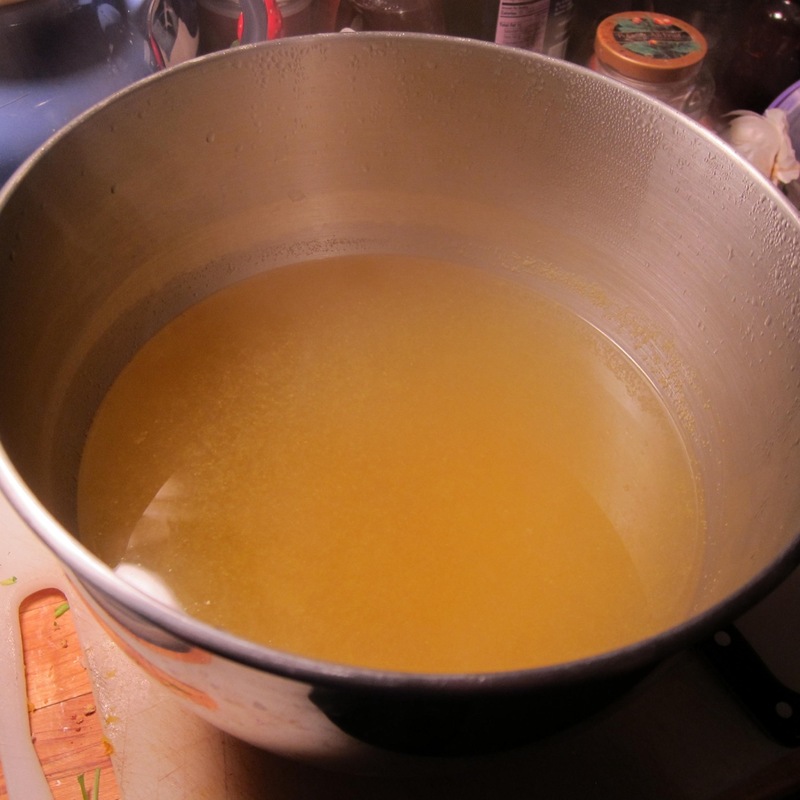 I usually like to make a bit more stock than I need so I’ll have extra, either to thin the soup with if necessary or to use for something else like risotto.) Bring to a boil, lower heat and simmer for approx. 30 minutes (or until your squash is roasted and you’re ready to make the soup). Strain out the vegetables and set the broth aside. While your squash is roasting and your stock simmering, you can start the vegetables. Heat the olive oil in a soup pot and add the leeks and onion. Cook for about 10 minutes, or until soft. Add the garlic, making sure it doesn’t brown or burn. Add the diced potato and your herbs (parsley, thyme and sage). Once your squash is out of the oven and cool enough to touch, scoop the roasted squash out of the skin and add it to the onion/leek/garlic/potato. (Make sure the burner is on low while you’re doing this so nothing sticks or scorches.) Then add about 4 cups of stock to the pot. If it looks too thick, you can add another cup. Bring to a boil, then lower and simmer for about 30 minutes, stirring occasionally. At this point, I puree the soup in the pot with my immersion blender. You could also use a regular blender or a food processor if that’s what you have. (But really, if you plan on making a lot of soup or sauce in the future, an immersion blender is an invaluable kitchen tool.) Add salt and pepper to taste. If you want to add a bit of cream or half and half, it’s a delicious variation. You can also thin it further with more stock if it’s still too thick. I used several other recipes as guides, and this recipe itself can be used as a guide. If it’s deep winter and you only have a big butternut squash, use that–the only difference is that you might have to let it roast longer in the oven. If you’re not partial to sage and parsley, feel free to change up the herbs. Squash goes well with ginger and lemongrass and Asian flavors also, for example. If you don’t have any leeks, use 2 or 3 onions instead. If there are no leek greens in your stock, then use an onion there as well.